There are many Indian Restaurant in Prague as per travellers rated site Tripadvisors there were around 75 and still counting. Few are best like anything but do we all know what makes them best is travellers of prague. More than 200+ reviews from google and more than 200+ reviews from visitors in tripadvisors, Damejidlo and many more reason is simple the team is very young and dynamic under the leadership of extremely talented young Entrepreneur from India brings the business at such a standard. But there is story behind it and he should be thankful to them, if they do not betrayed him he might not with Lal Qila. At very early stage he turned to be so experienced as if he knows the world before than even the world started and that just because of those whom he trusted more than even from his own family members. Indian Jewel - Seriously the Jewel of India, keeping the business for more than a decade and running successfully. It's truly amazing to see such businesses running so successfully and seriously to run that show people do require lots of efforts, which truly need to be admired by the foodies. Indian Jewel provides the best sources of Indian Dishes with best Indian spices. 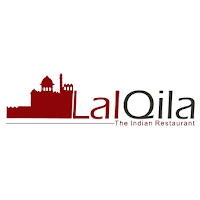 We should hats off that with loads of difficulties these Indian restaurant try to maintain to deliver the best Indian tastes here in Prague.